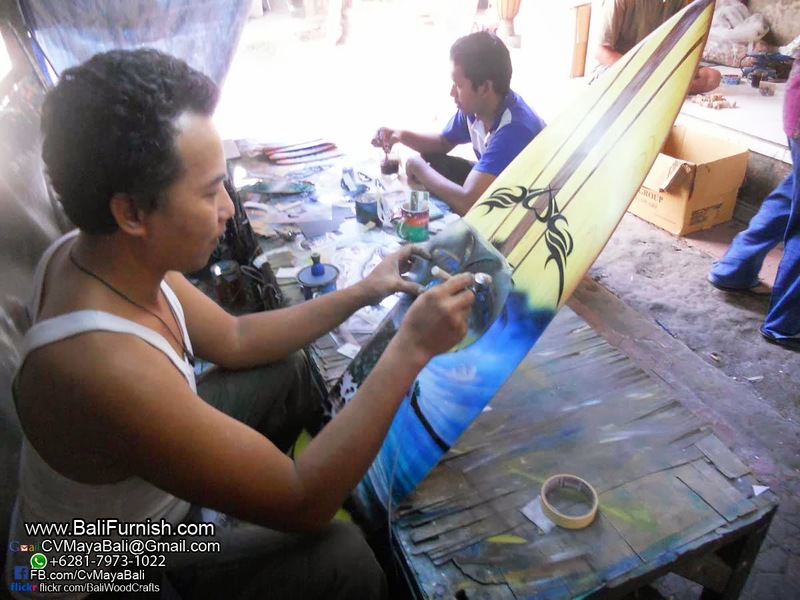 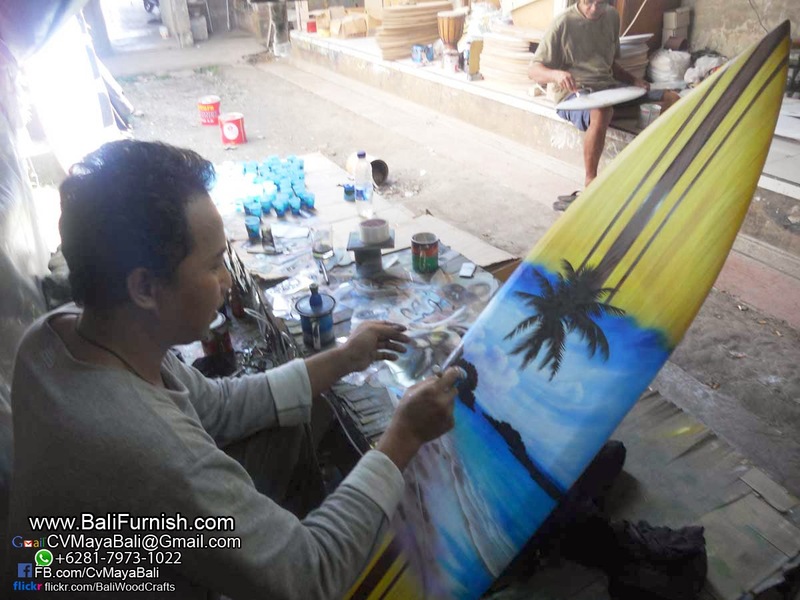 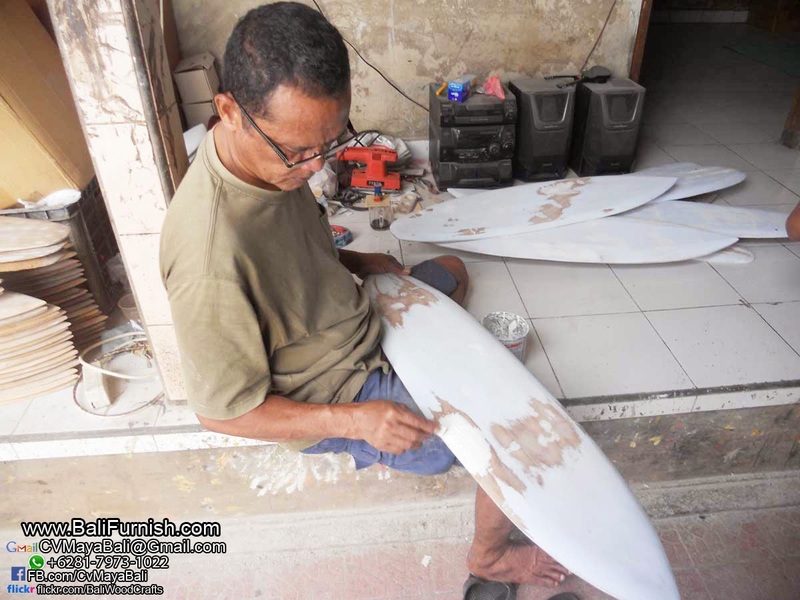 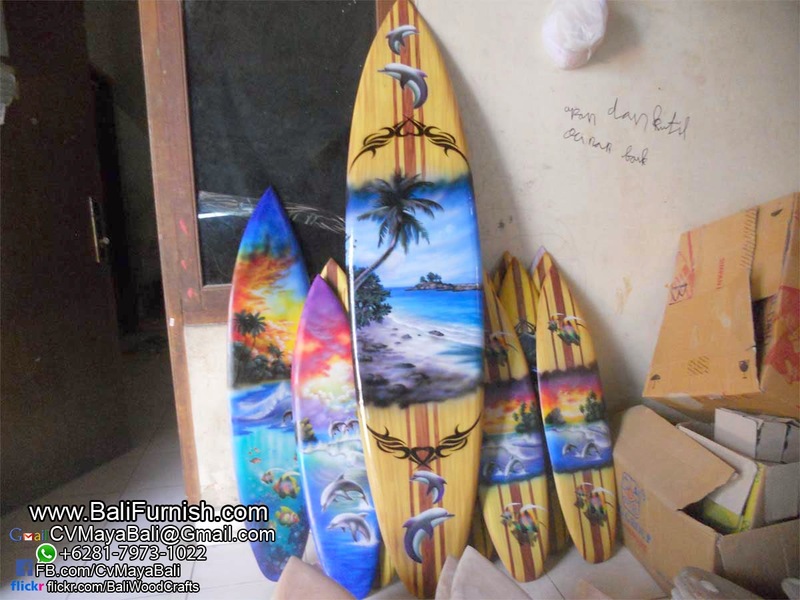 Wood surfboards from Bali Indonesia with airbrush motifs. 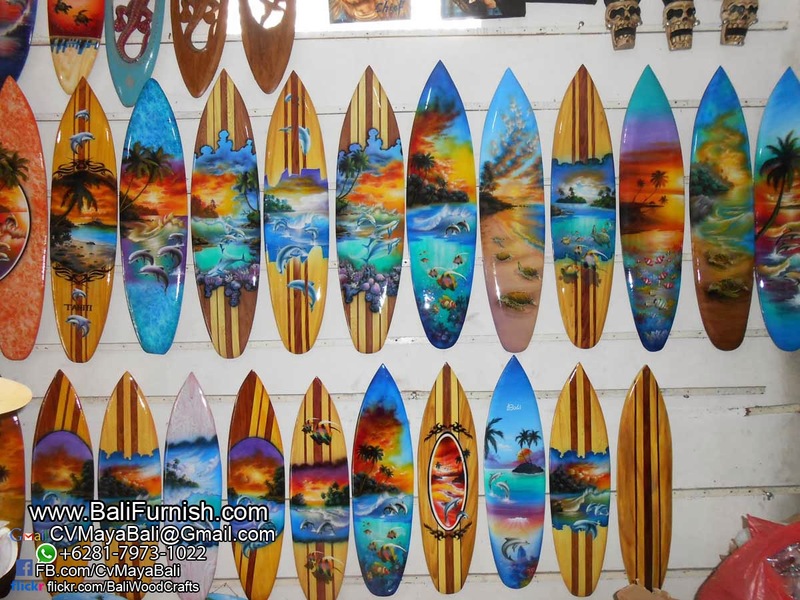 Handmade in Bali by Balinese craftsmen. 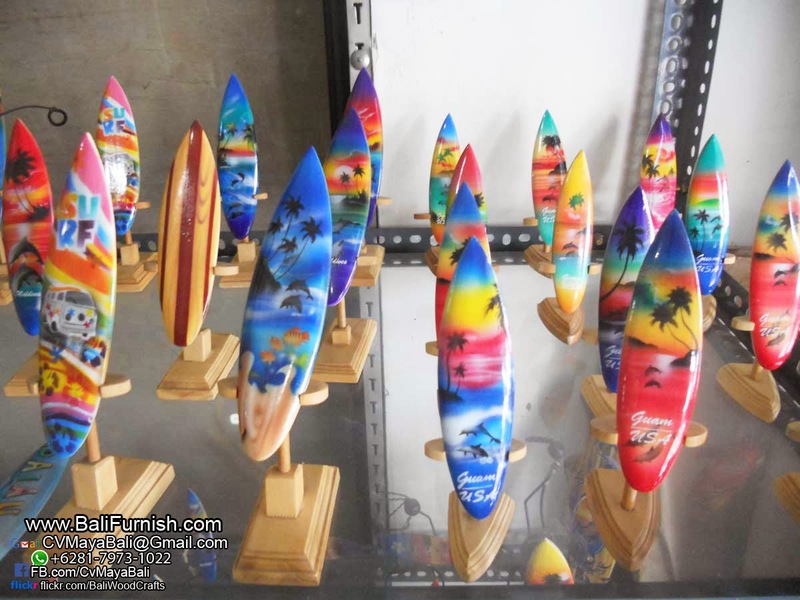 Very popular in Hawaii and other resorts. 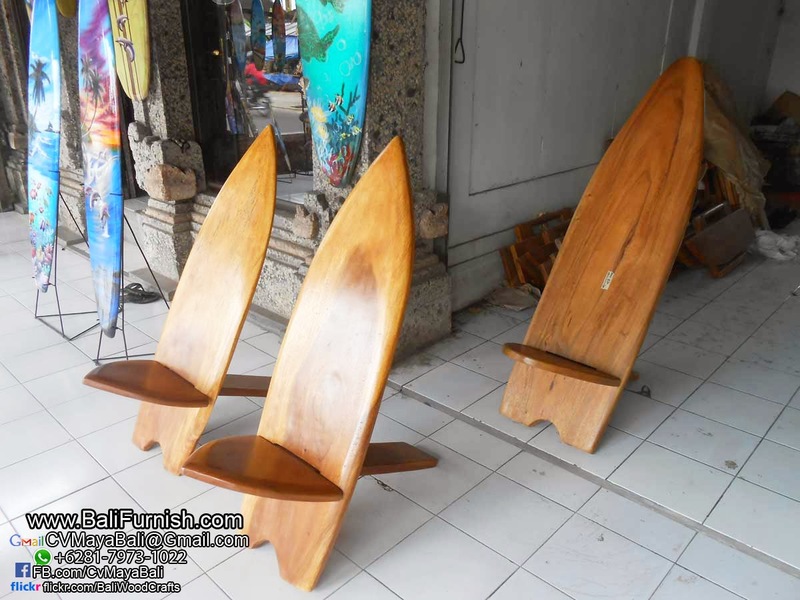 Buy direct from the factory and workshop in Bali. 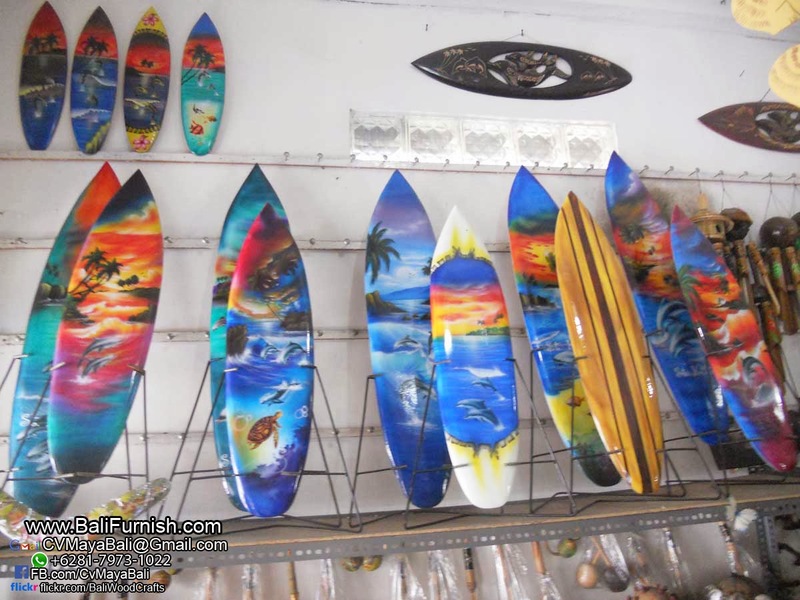 Get quality surfing board and factory direct price. 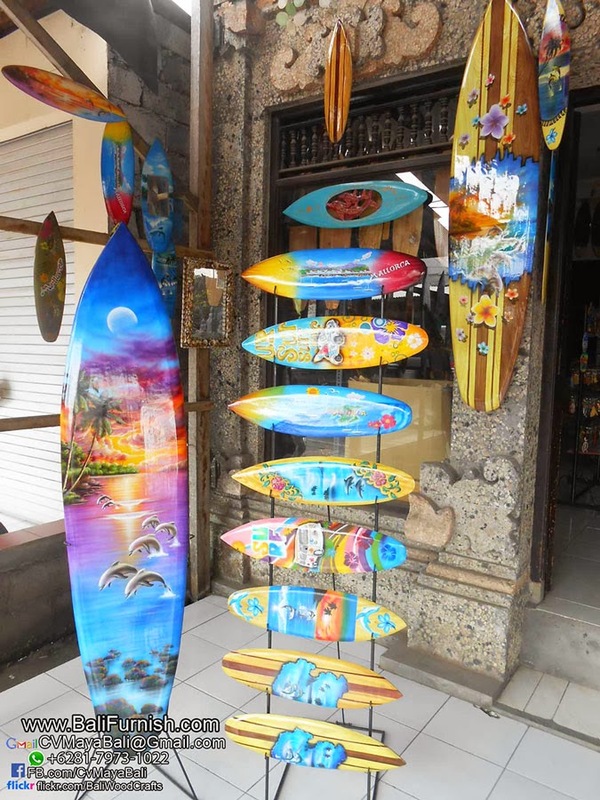 These surfboards made of wood to use as decorations or home decors. 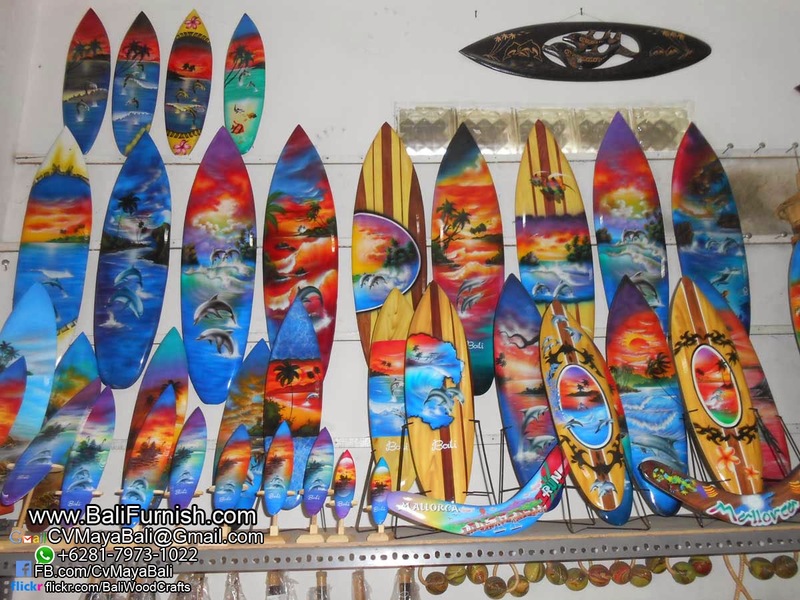 This is not actual surfing boards. 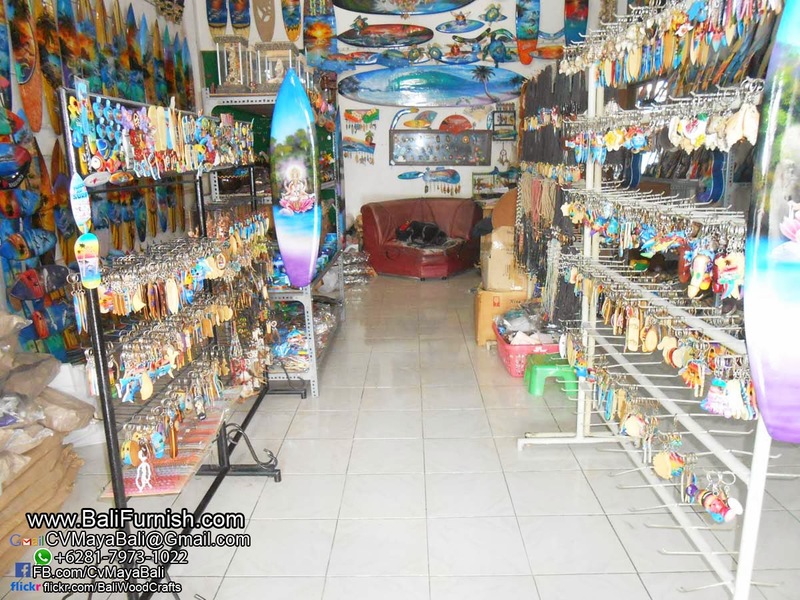 You're welcome to add name dropping, such as name of your country, islands, cities etc. 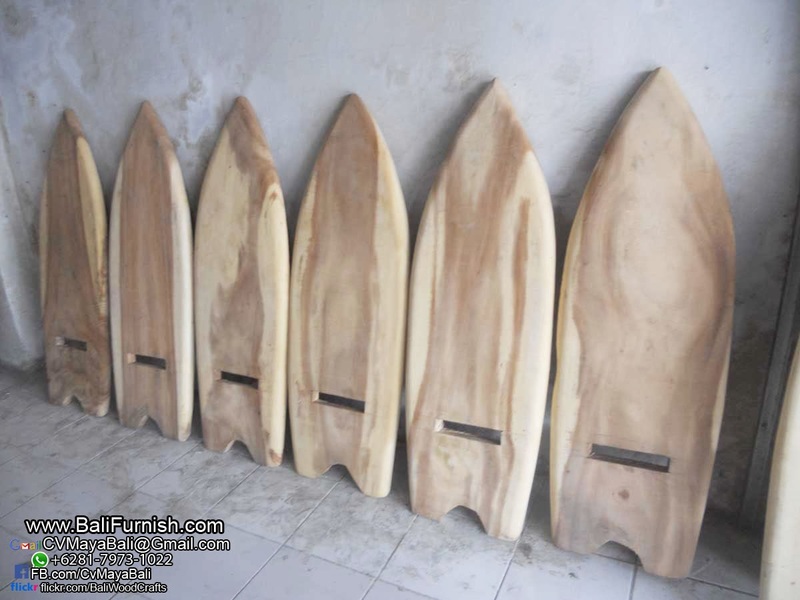 Please contact us if you need to buy our surfing boards wholesale in bulk quantity. 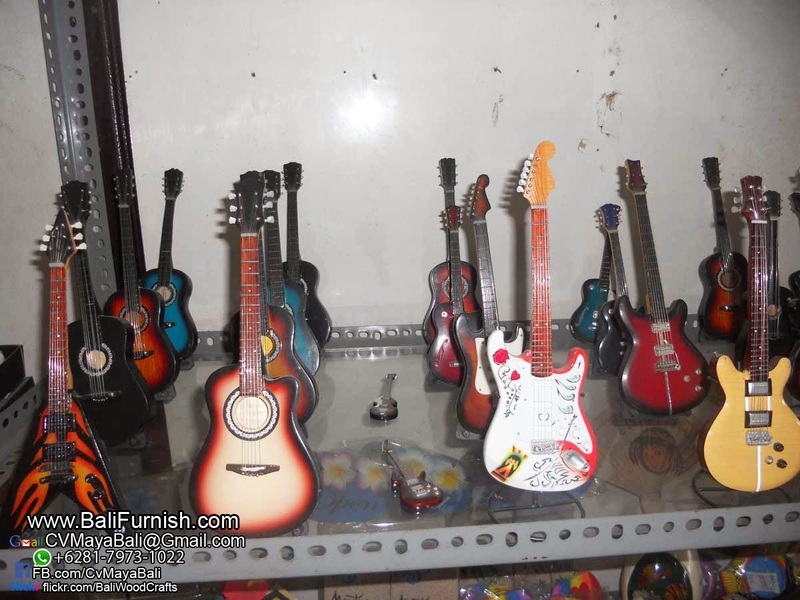 We will help you to get good quality products in reasonable price. 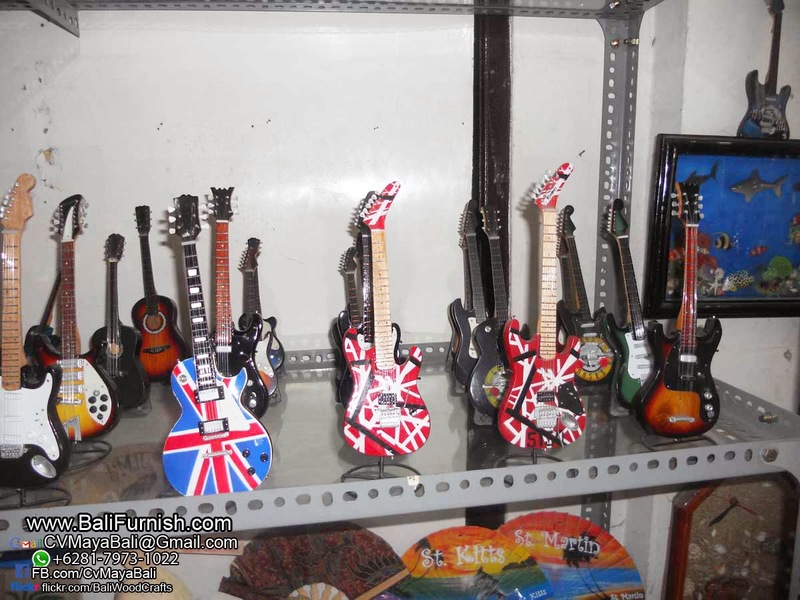 We help you also with export documents and shipping. 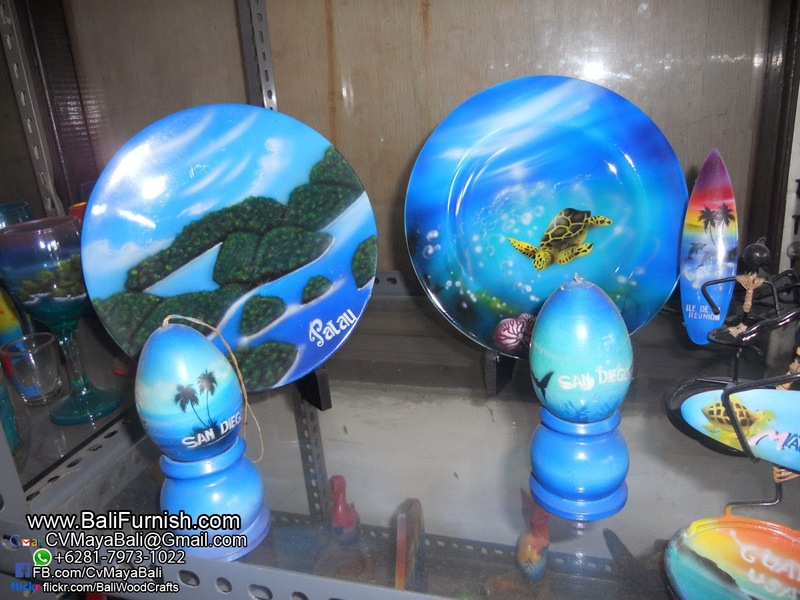 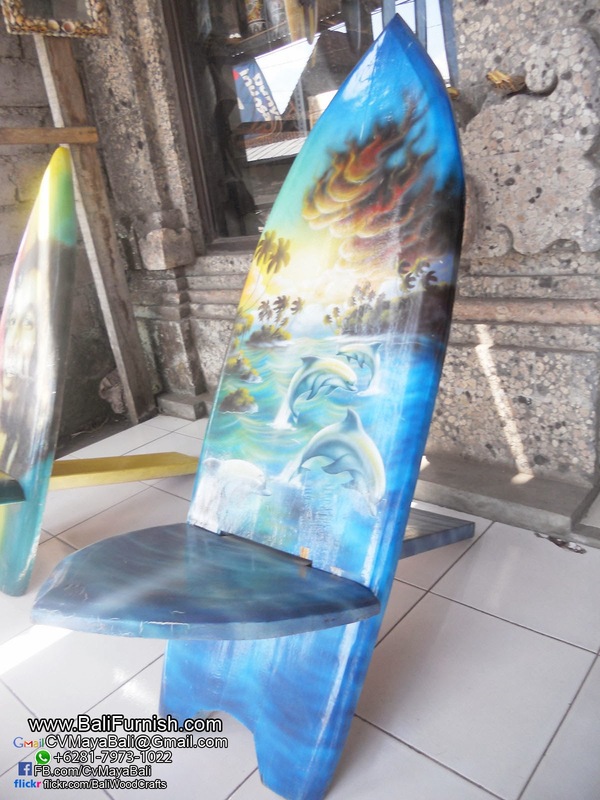 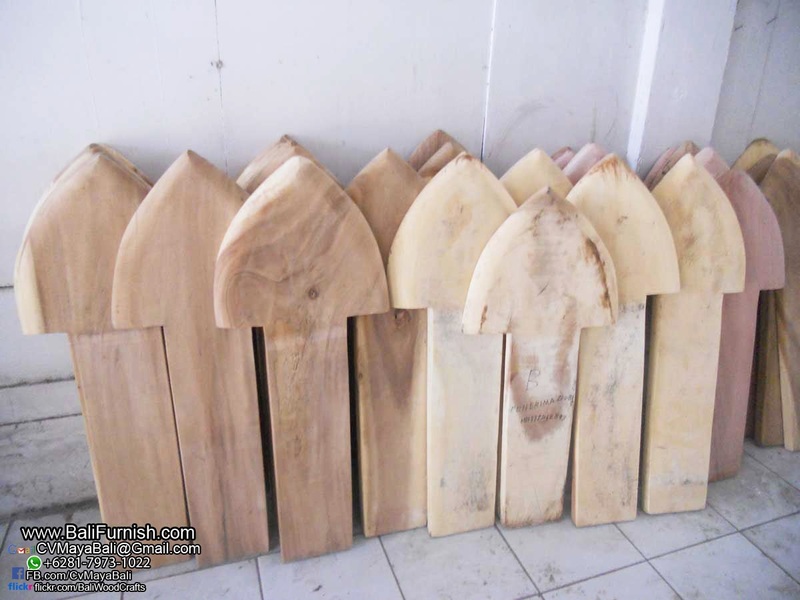 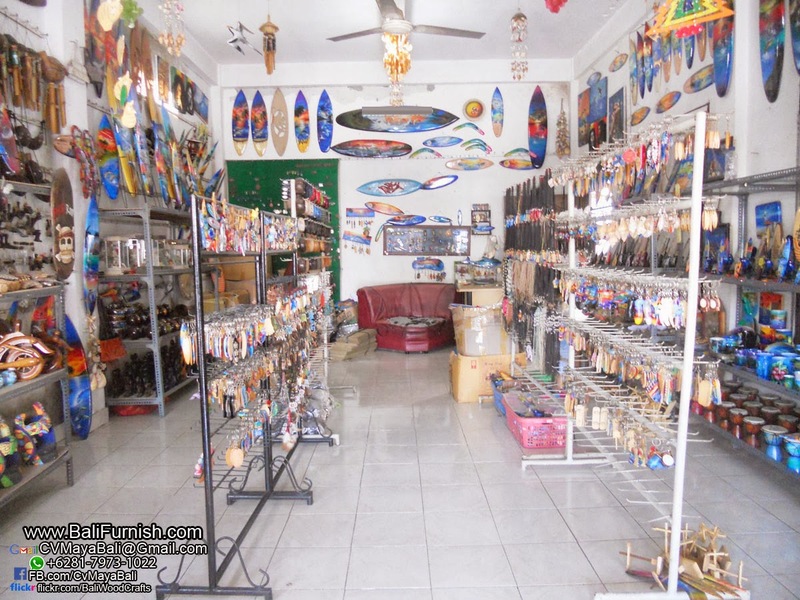 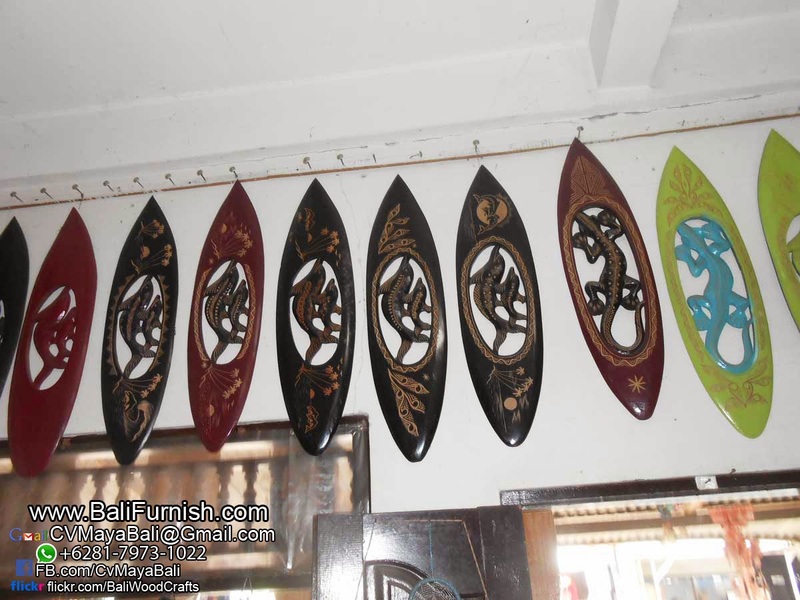 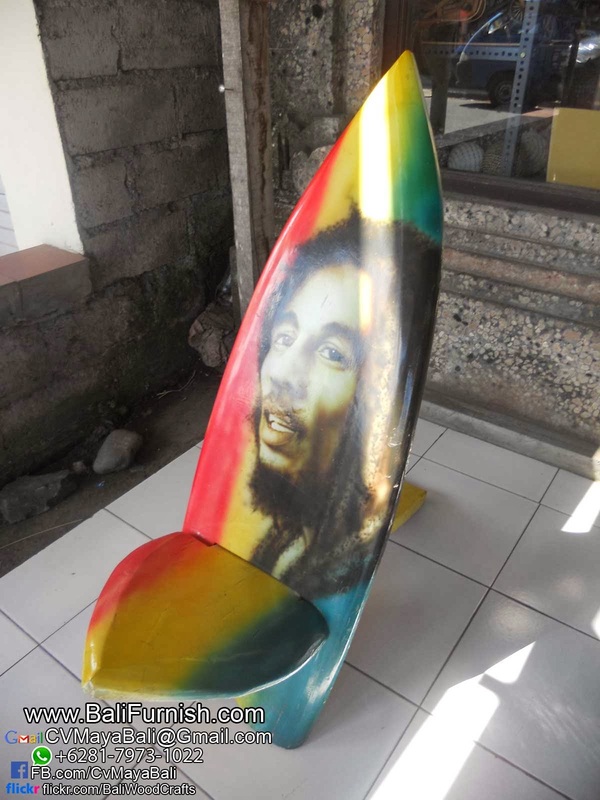 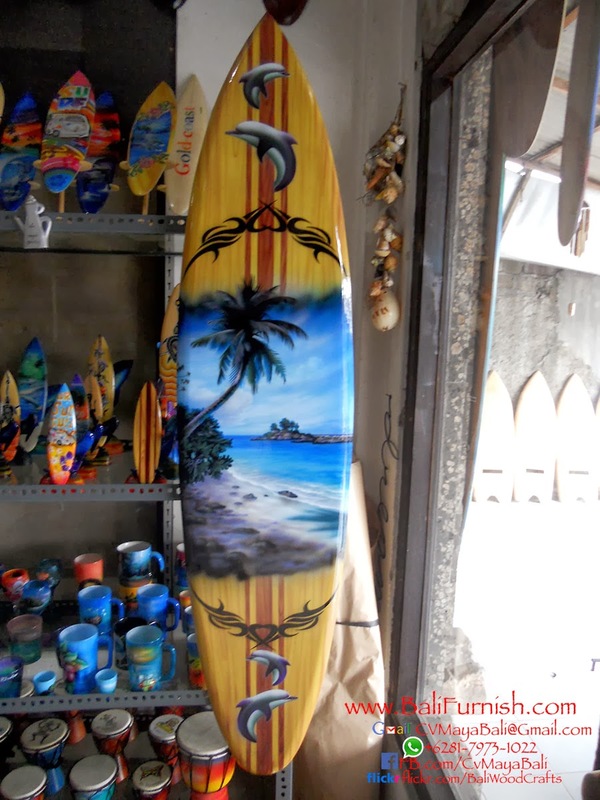 We ship our Bali handicrafts worldwide including these surfboard wall decors. 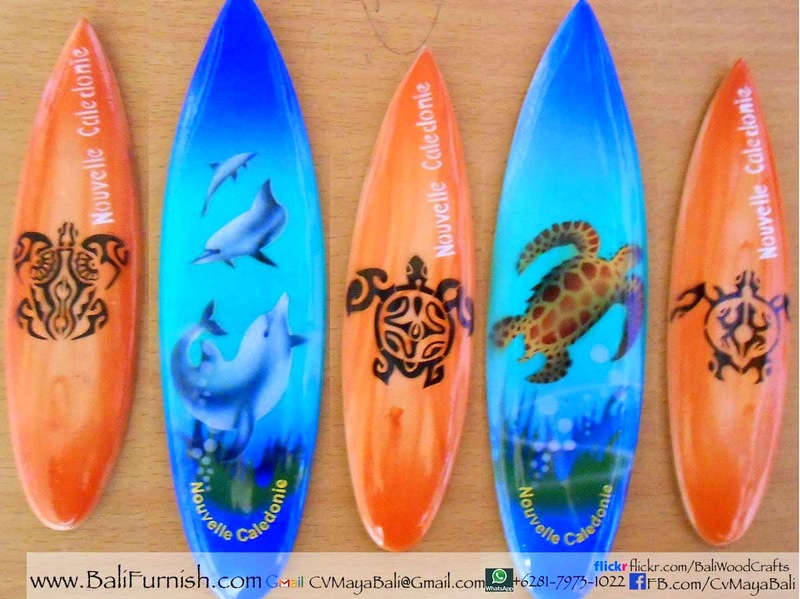 Surfing board magnets from Bali. 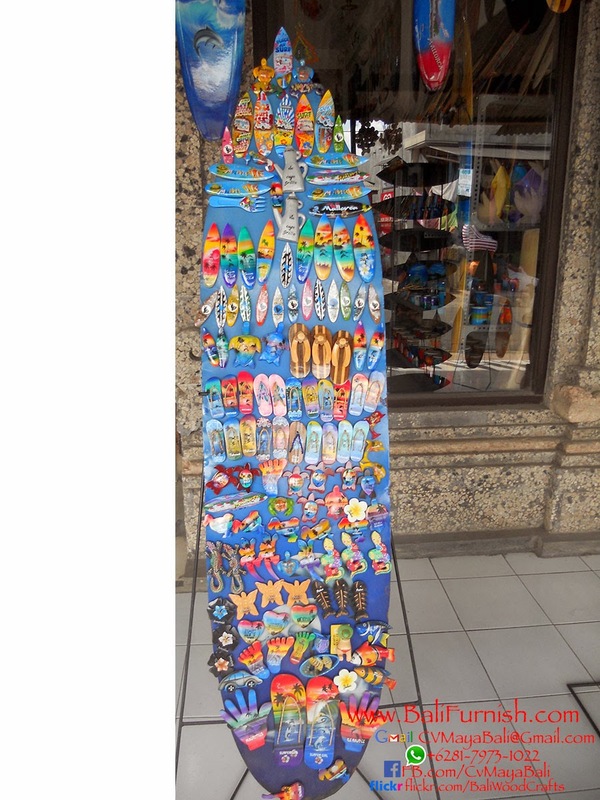 Available in various sizes and motifs. 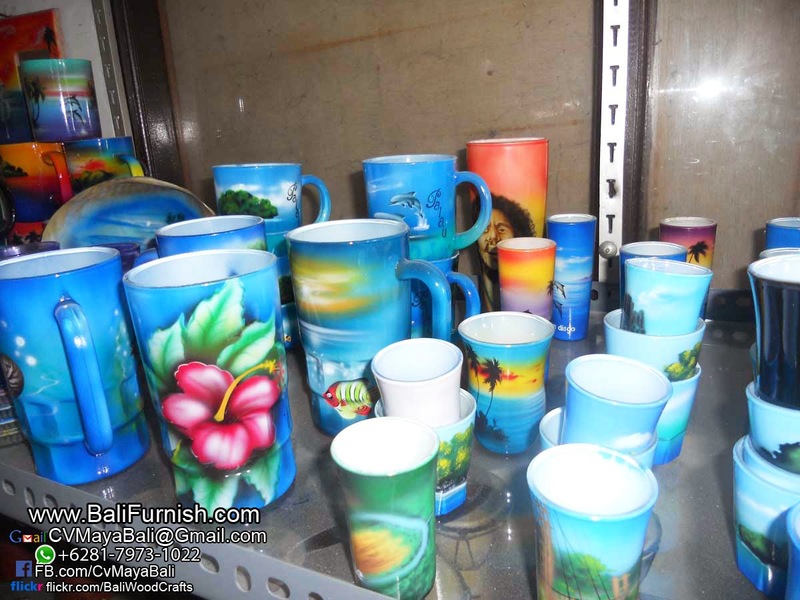 Also available as airbrush wood keychains and magnets.